Short task apps and sites are popping all over the places these days. We all like making extra money in our spare time, but most of us don’t want to get a second job (and you don’t have to) to make extra money. Sometimes, you just want a little extra cash without spending a lot of time working. An extra $10 or $20 will do! If that sounds like you, look no further. In this post, we are going to share a big list of sites that you can use to do micro gigs and get paid decently. None of these sites require any financial investment. You don’t need any special qualifications or education. Just make a profile and get going. These are all legit sites that actually pay. It might seem a little counterintuitive. After all, if the tasks are so simple, why pay someone else to do them? The deal is that a lot of these tasks are simple and tedious. But they are complicated enough that machines can’t be taught to do them. So the work is passed off to you, the internet worker. Simple work for simple pay, but it still needs a human at the helm. For a more concrete example, let’s say I have 1000 pictures from an event. I need these images sorted by content. But I don’t want to spend days going through every picture and looking at everything to figure out what’s in it, that’s tedious! I’d rather pay someone to do it for me. So then that work is taken to one of the sites listed below, who will pay you in return for completing each picture (usually a very small sum, like a few cents.) But since there are hundreds of you all doing the sorting work, my pictures are sorted out in just a few hours. And that explains the outstanding rise of the Gig Economy. Sorting pictures is just one of many types of tasks you might end up doing on these sites. The idea is that the work is easy, but it comes in a lot of varieties. The type of tasks you’re doing will depend entirely on the day and on the site that you’re using. Some will certainly be easier than others, and that’s one of the great things about micro task sites. This is a great site to earn money in your spare time with. They pay you to complete all kinds of simple short tasks for their clients including Pinterest, IBM, Microsoft, Expedia and other major brands. Isolate elements: All you have to do is find the edges of an object. Assess language: Read a conversation or listen to an audio file and describe its meaning, tone, content and or attitude. These are really easy tasks that can be done from anywhere and anytime you have a few minutes to spare. You get paid once a week via PayPal. This is a great site for completing all kinds of easy and quick paid tasks. Anything from moderating content and transcribing audio to categorizing social media and even drawing boxes on pictures. Each task pays a different amount. This is a site where according to the company you can earn up to $5000 a month doing tasks for other people. Anything from gardening, gardening and handyman work to graphic design, cake baking, web development and everything in between. The best part is that there are tasks that can be completed online or offline in your local area. This is a site that pays you to do really simple tasks like installing apps, completing trial offers, taking surveys and more. You get paid with Bitcoins. Panda Research pays you for reading emails taking surveys, signing up for free trials and even referring your friends. Some of their tasks pay up to $50. The best part is that you get $3 just for signing up! Wanna get paid in Bitcoin (or hundreds of other coins) instead of cash or gift cards? You can earn cryptocurrencies by watching videos, taking surveys, playing games and more. Like most other short tasks sites, you earn points for watching videos, taking surveys, listening to radio and more. This is an awesome task site for people who like instant rewards. That’s right, you can redeem your earning at any time. What can you redeem your points for, you ask? Gift cards, PayPal payments, Bitcoin, Steam Wallet and more. Kicking off the list is ZoomBucks, one of the quintessential micro task sites. While they’re not as popular as ‘The King,’ Swagbucks, they still pull a very respectable amount of traffic. You can do all the usual micro tasks here. Things like taking surveys, playing games, watching videos, doing little tasks and checking out offers. While ZoomBucks doesn’t break the mold, it is very reliable and easy to use. This is one of the best sites that pay you to test websites. 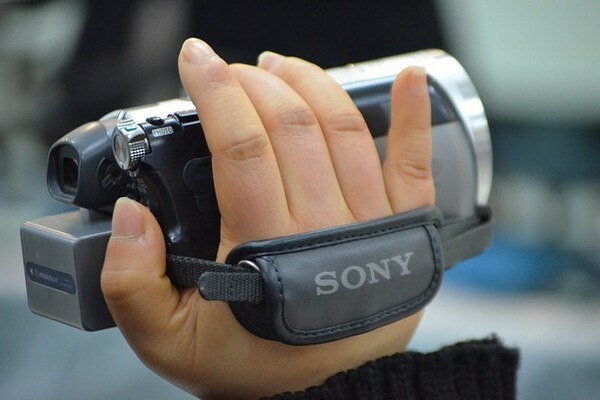 You’ll be asked to record yourself (using screen-capture) on a website, speaking about your experience as you go. TaskRabbit isn’t all-online, strictly speaking. Instead, it’s a hub to get tasks you can do around town. While the website is online, you’ll almost definitely be mobilizing in real life to go do your task. It can be anything from fixing a sink, buying groceries, making a coffee run, or anything in-between. A great option for more social people, especially if you live in a densely populated area. The aforementioned “King of Micro Tasks,” Swagbucks is a hugely popular site where people go to make money from a variety of activities. They have a point system much like many sites do, but no payment schedule. Simply redeem the points whenever you have enough. There’s a lot of stuff you can do on this site. Games, shopping, videos, searching the web– you name it. Swagbucks also has a very popular mobile app so you can earn on the go. A site for task-tasks that will probably require a little bit more time and attention. You can choose between design, research, writing or data entry. The great thing is that you get better pay here in return for contributing your skills to these group tasks, so you will be more engaged and better compensated than other sites. The downside is that it has less ‘stop and go’ freedom. This is a smartphone-dependent task service. Basically, you earn points for going to stores. The GPS on your phone coordinates with the app itself, you get compensated, and it’s that simple. There are a ton of participating companies: Old Navy, Target, Best Buy, Macy’s, Mobil, just to name a few. Not only do you get points just for walking in, but you can also make points for scanning barcodes and making purchases. A twice-monthly paying writing service. Great for beginning writers. It’s not going to stuff your wallet, but it’s actually a pretty good way for a writer to get some experience. 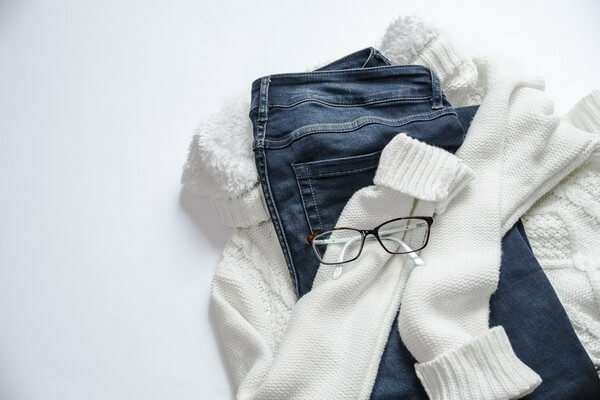 While this site has a shopping and rewards focus, you can still get paid for doing things like watching ads and taking surveys. It’s a good, but if not ‘standard’ micro task site. A site for marketing-focused micro tasks, the goal of RapidWorkers is to help people grow their site’s presence. You might be asked to do things like social media actions, following or liking or tweeting, and you can get paid out immediately to PayPal as soon as you make $4. Users of Microworkers may notice that the layout is similar. Indeed, RapidWorkers’ interface was completely copied from MicroWorkers! NeoBux is practically the definition of a micro task site. It’s all about ads, so you click through ads of various types and make a few cents every time. The pay is micro-sized, as are the tasks. A great mindless way to rack up some money when you’re not looking to get too deep into anything. Similar to the functions of RapidWorkers, MiniJobz is primarily focused on social media actions as their micro-tasks. Important to note is that they do not pay via PayPal, but rather MoneyBookers or Payza. You can cash out at $5. This is an alternative to Amazon mTurk that is available internationally and pays out to PayPal and Payza. The downside is that since it isn’t as big a site, you won’t see as many tasks here. Another very solid micro task site. You have the usual options, surveys, games, web searching, shopping. There are certain companies which pay a lot of money out to InboxDollars, so you may see a lot of their ads on the site. One of the definite ‘must-try’ sites, it’s rather popular in micro task circles. GigWalk is an app-based, real world micro-task workforce. It is the sort of service where you can get paid for doing small, on-the-street tasks. That could be anything from snapping a picture of a geographic landmark or scanning a street sign with your phone. Like TaskRabbit, GigWalk is only available in certain cities, sorry to the rural readers out there! FusionCash is another platform similar to InboxDollars or SwagBucks that allows you to make money doing short, simple online tasks. They offer $5 just for signing up, and after that, you can make anywhere from 25¢ to $30 per offer, which is paid out to PayPal. They also offer options to cash out via direct deposit or check, which is a deal-maker for some. This is a BBB-certified business, so you don’t need to be concerned about scams. A site that has really been making waves in the online money making world. Fiverr isn’t strictly a micro task site since it requires that you self-start a bit. Like Gig Bull, you put up a service and set your price, with the base price being $5. You can then try to get people to buy more expensive services. I’ve written about Fiverr before, so I won’t get too into it here. There are a lot of ways to go about succeeding with Fiverr, though. Make sure you are selling a task that you can pull off frequently and (relatively) easily. FA is an app-based service that wants you to do little tasks around town like checking price, checking shelves, or taking pictures of products. Each task pays between $3 and $12 which is paid out to PayPal. Unfortunately, this service is only available to iPhone users, so Android users won’t be able to get in on the action. EasyShift is kind of like Field Agent, except you take on the work in ‘shifts.’ That means that you take on a variety of tasks at once and attend to all of them while you’re out and about. It takes 48 hours to verify, but then you’ll be credited and able to pay out to PayPal. The nice thing is that this is available to users of iPhones and Android devices, so all smartphone users can do shifts while they’re out. A data entry/micro-task focused site that allows people to work from around the world. These guys are going to be asking you to do web-specific work, so there won’t be any leaving the house as with some of the previous entries. The payment can fluctuate quite a bit by task, so make sure you seize on the best-paying jobs when you can. The first thing you’ll notice about Crowdtap is that you are asked to link your Facebook account to it. This is good if you were looking to avoid making your own sign-in. Since Crowdtap is a US-based company, you’ll need to live in the States to take advantage of this service. Crowdtap will ask you to do tasks like EasyShifts or Field Agent, product research and feedback types of things. Of course, you’ll also need a smartphone to get started. The first thing to say about CrowdSource is that they’re a well-trusted company. When you go to do work for them, you’ll likely be routed through Amazon mTurk, which means you need to live in the US. They offer above-minimum wage payment for writers and editors. I had tried to apply here to test it out a little while back, and I wasn’t able to clear through their examinations. They are looking for you to follow the style guide to a T.
You’ll need to give them some real information to get started, tax information and the like, as well as passing some entrance tests. If Swagbucks is the “king of micro tasks”, then it might be right to call mTurk “the queen”. More realistically, the truth is that mTurk is a more serious, more demanding online work platform that is aimed towards more committed workers. Companies come to mTurk to get US citizens to do their micro-tasks for them. You can make a pretty fair amount of money on mTurk, but it will require honing some skills first. The tasks can be very difficult when you start out, compared to the pay. Finishing off the list is Appen, one of the well-known international ‘language solutions’ and translations companies that hire people to work from home. While they are looking for translators and other types of bilingual users, there are sometimes microtasks available for those who are capable of committing to a full translation at the moment. The pay is small, but the tasks tend not to be very difficult compared to micro tasks from other services. Don’t want to run out of paid tasks? You get paid for shopping online, clicking on ads, filling out surveys, watching videos and much more. It is one of the few international rewards sites meaning you can use to make extra money from anywhere in the world. Payment is generally on the low end, with the expectation that you will be doing a lot of work and adding up all your earnings. Pay schedules are entirely dependent on the site itself. First, most sites have a ‘payout minimum,’ or a set amount of money you need to earn before you’ll be compensated. In addition to this, a lot of sites have their own payment schedule. While some sites will let you cash out whenever you reach the minimum, others will auto-cash out at a certain time as long as you have the minimum amount necessary. You’ll almost definitely be making more money over time than you will initially. Doing these tasks is a skill that you’ll get better at with time, so it’s only natural that your rate of pay will go up. These sites were part of the original post but they no longer work. Keeping them here for archival reasons. MobileWorks.com, not to be confused with MobileWorks.org, is a subunit of the ‘Lead Genius’ company, and they specialize in Lead Generation. While that’s a fancy name, it refers to a similar type of data hunt and entry that you could end up doing on other sites. A very formal service for doing micro tasks. Gig Coin is something like a mini-oDesk. You bid for jobs like a freelance website, and the tasks might be anything from designing a logo to writing a blog post. This is an interesting site that lets you sell your services (whatever those are) in certain increments. It brings to mind an immediate comparison of Fiverr. The difference here is there are many static increments: $3, $5, $6, $9, $12, $15, $27, $45, or $90. The increment system that GigBull uses is, in some ways, superior to the Fiverr system. Since the site has its own function for setting a $90, it isn’t as difficult to advertise a higher-priced service on this site! Another mTurk-like site that benefits from the fact that it is internationally available, Click Chores is a great option for those living outside the U.S. that are looking to make money with microtasks. Agent Anything is another out-and-about task service where you bid on the ability to do simple tasks like laundry and coffee runs. Strangely, they ask that you be a college student to sign up, so that may limit your qualifications. This company was actually acquired by CrowdSource a while ago and it has since merged with CrowdSource. Writers can check here for work if they’re willing to pump out content. CloudCrowd offers three varieties of writing-based work: ‘General’ writing, ‘Marketing’ writing, and editing. Payment is made via PayPal same-day as you turn it in. Unfortunately, there are a lot of scam sites out there as well that try to mimic legit sites in order to take money from you. One of them seems to be 1 Dollar Tasks. Every review I read of that site, points to it being a scam. Stay away from it and any other site like that. Make sure you do your research before joining any site. If you’re not sure about a site, ask. You can ask us here by leaving a comment, or even use forums like Reddit to ask other people who may have experience with such sites. Is getting paid for completing short tasks even worth it? I would definitely say yes. These sites offer good ways to make extra pocket change. Sure, you won’t make a living, but every little bit helps. So it’s not a waste of time. It just isn’t good enough pay to quit your day job, that’s all. I really like micro task sites and I’m glad that they exist. In my opinion, the best way to use these sites is to make them a passive part of your day. Maybe you use Field Agent when you go downtown to get food, or you get on ClickWorker while you’re waiting for your pizza to get cooked. Integrating the services into your routine makes them seem less difficult and strenuous. 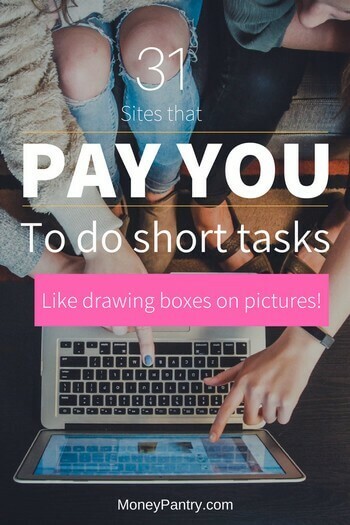 If you’re someone who wants to add a little extra cash to their budget, check out these short task sites and start earning some extra money completing easy gigs. I signed up for Swagbucks and InboxDollars, recently. One of them gave my number to 3rd parties, despite saying they would not. Now my phone is blowing up with calls from all these education, insurance, and pyramid scheme offers. So annoying. I cancelled both accounts, since I’m not sure which one screwed me over. I am sorry about your trouble, Nikki. I have been a member of both sites for years and they have never done that. Are you sure you didn’t complete any of those education related offers? Normally those offers require you to give them your contact info so they can contact you about their college courses and so on. So if you did do those offers, you gave them permission to contact you. If you didn’t, then yeah that’s just not right for them to contact you. Did you try contacting SwagBucks and InboxDollars? Will any work for someone living in Nigeria? I think Fiverr allows anyone from anywhere to sell gigs. I’m actually shocked that you describe Swagbucks as the king of micro tasks. While the site isn’t bad it definitely would not be one that I would describe as the king! I have joined many of the sites on your list an many that you don’t have listed and of all of them the one I would say is with out a doubt the king is instagc They have so many more ways to earn cash than Swagbucks does, offers, clicks, surveys, downloads, etc. They also are partnered with Crowdflower which is a great task site that pays very well with the potential to earn a ton of cash especially if you’re a level 3 which is their highest badge. 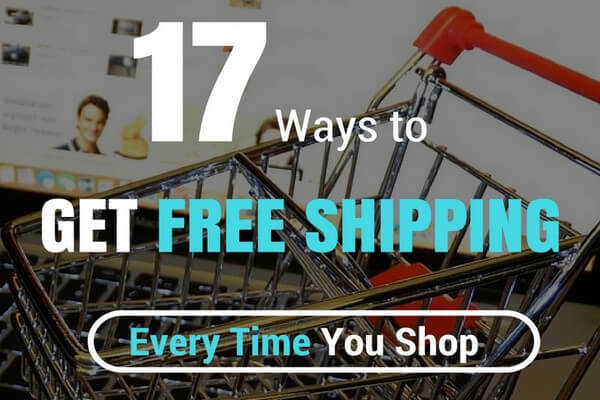 They offer the best ways to redeem your cash with the highest amount of gift cards that you can redeem your points for out of any site that i’ve seen along with direct deposit, e-check, and paypal. Minimum cashout amount for paypal is $1 and e-check and direct deposit are $5. Another great thing about this site that sets it far apart from Swagbucks is that when you redeem your points for gift cards you have instant access to them. No waiting a few days like with Swagbucks or a lot of other sites. Paypal is also instant as long as your redemption is $25 or less. Anything over $25 can take 1-3 days but in my experience most times it’s only a few hours. I have made so much money with this site that I don’t need to have a job. My average daily earnings is usually $25 but I have days where I make a lot more. Just yesterday I made $50 in only a few hours just from doing a few surveys and doing jobs on Crowdflower. If you’re looking for a great site like many of the ones listed here where you can actually make a lot of cash and can get instant access to it definitely check out the link and sign up! Once you try this site you definitely will agree that it out ranks all the others on this list especially Swagbucks which I would rate at the bottom of my list. Please update your list. Shorttask.com has been deemed a scam because they do not pay their members. Lori, thanks for the heads up. I know they pay a lot less than other task sites and some of their tasks are questionable, but had never heard of this. Is this something that happened to you or somebody else who hasn’t gotten paid from them? I just want to make sure I see some evidence before I declare the site a scam. I used neobux and clixsense, long ago before starting my journey as a professional blogger. But now I am competed enjoying the blogging money. Your list is really helpful for everyone who want to make some more money utilizing their free time. I’m using fiverr and they are Wow, atleast apart providing blogging tutorials on my blog I can also get some bucks for a job well done.